We are offering Oil Skimmer. 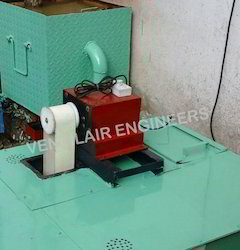 Ventilair Engineer offered Oil skimmer which is a simple mechanism to remove or separate oil & grease from waste-water. It is specially for automobiles effluent and industrial oily waste-water. Oil skimming is the most reliable and lowest cost method of removing food greases and oils from process wastewater. An oil skimmer uses the difference in specific gravity between oil and water, allowing the oil skimmer belt to attract frying oils, vegetable oils, greases, and animal fats as the belt passes through the surface of the water. The simple belt-and-motor approach is proven to operate unattended and reliably for decades with little maintenance. This unit is designed and installed for M/S. CAPARO MARUTI LTD. by VENTILAIR ENGINEERS. 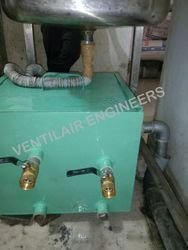 Ventilair Engineer offered Oil skimmer Design Commissioning and Operation Maintenance which is a simple mechanism to remove or separate oil & grease from waste-water. It is specially for automobiles effluent and industrial oily waste-water. Oil skimming is the most reliable and lowest cost method of removing food greases and oils from process wastewater. An oil skimmer uses the difference in specific gravity between oil and water, allowing the oil skimmer belt to attract frying oils, vegetable oils, greases, and animal fats as the belt passes through the surface of the water. 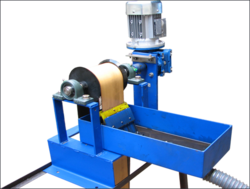 The simple belt-and-motor approach is proven to operate unattended and reliably for decades with little maintenance. We are offering Industrial Oil Skimmer. We are offering Oil Skimmer and Remover. We are offering Belt Oil Skimmer.